There's nothing I love more than a good portal fantasy. You just don't see many of them in YA. 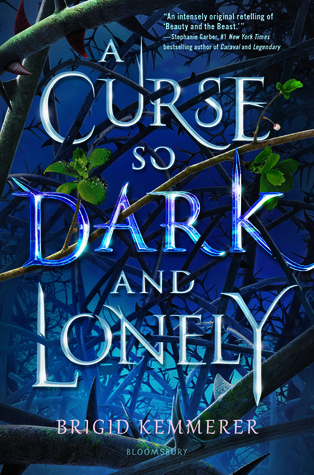 Which is just one of the reasons A CURSE SO DARK AND LONELY captured my heart. It's a unique Beauty and the Beast retelling where the Beauty is a hapless accidental kidnap victim, the Beast has more bite than bark, and the stakes are not only the heart of a cursed man but the livelihood of an entire kingdom. With Brigid's trademark sassy dialogue, hate-to-love romance, and evocative prose, it's an easy bestseller. I don't even have much to snark about. I seriously loved it. This isn't your sweet Disney B&B, or even something Grimm. It's so much darker. In Emberfall, the Beast, Prince Rhen, is trapped with only his loyal guard Grey in an endless time loop. He has played out the autumn of his 18th year hundreds of times, while around him the kingdom has moved on, crumbling under the neglect of a royal family they believe to have abandoned them. Foreign enemies press from without. From within, a brutal monster slaughters indiscriminately (spoiler alert: it's Rhen. You find this out right away). All that is magical and enchanting in the Disney version becomes perverted in Brigid's tale by isolation, death, and decay. Even the autonomous instruments and their constant music are a torment of unending repetition. And the "witch" who cursed everyone is very much active, popping in to inflict additional pain at her whims. Harper is no farmer's daughter. Her mother dies of cancer while her brother does scare work for a thug to pay off their missing father's debts. She ends up in Emberfall because she's kidnapped, and her first object is escape. So refreshing! Harper doesn't fall prey to the delight and distractions of this magical world. She wants to get home. She's active and take-charge. Her sassy ferocity shocks Rhen and Grey, forcing both of them to question who they are and how they've dealt with this curse. She also has cerebral palsy, and it's very much part of her without defining her character or her plot arc. I'll let better-informed people comment on the disability rep, but for me it was great to see a disabled character where the disability wasn't her whole story. The biggest strength of this book is in the relationships. Harper strikes a bargain with Rhen and Grey. She'll help, reluctantly, if they get her home. But as she gets to know them, she's surprised to find how much they buck her expectations. The spoiled, calculated prince is more lost and resigned than she is. The scary bodyguard has a playful side. And Rhen, who's POV we also get, realizes through Harper how much he's given up on himself. The interactions between the free are complex and fraught, creating a backbone for the larger world-level plot. And oh, the shenanigans! Harper finds herself caught pretending to be a princess. Rhen has to keep up the appearance that the royal family isn't dead. They cavort around Emberfall, hoping to break the curse but mostly just trying to help the people as much as they can before it's too late. With every plot point, Brigid invites new surprises and upends typical fantasy tropes. Her pacing is taut as a bowstring, and her cast of characters grows to include some favorites I can't wait to see more of in the sequel. The fantasy world isn't Patrick Rothfuss deep, but it's not meant to be; it has the more sweeping, surface lines of a fairy tale, enough to make you feel grounded without getting bogged down in details. The test is over. Come back. I recommend ACSDAL unreservedly to anyone who loves fantasy or simply great storytelling. 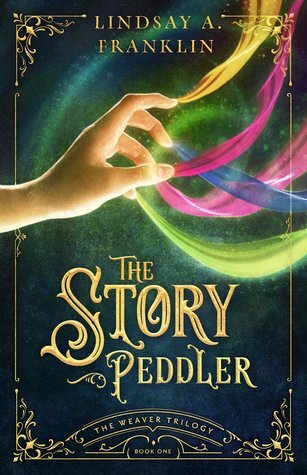 Brigid balances whimsical humor with poignancy and seriousness to create a story that is fairy tale adventure that reads like a character-driven contemporary. The atmosphere is effortlessly magical. Nothing is predictable or easy, and I promise you that final twist and ending will have you shrieking. A humorous and poignant character-driven fairy tale retelling full of clever surprises and heartfelt relationships. I've been seeing this one around a lot and, I can't lie... I'm heavily intrigued now xD It's gotten such outstanding reviews! I completely forgot about the term portal fantasy. The cake is a lie indeed!